Suburban Street Stormwater Retrofitting: An Introduction to Improving Residential Rights-of-Way is the most recent addition to LATIS. LATIS (Landscape Architecture Technical Information Series) is a great way to learn the technical intricacies of new research in the field, all while earning those much-needed professional development hours (PDHs). Each paper is peer reviewed to provide a learning experience that enriches the profession, with a test at the end that could earn up to 3.5 PDHs, depending on the paper. 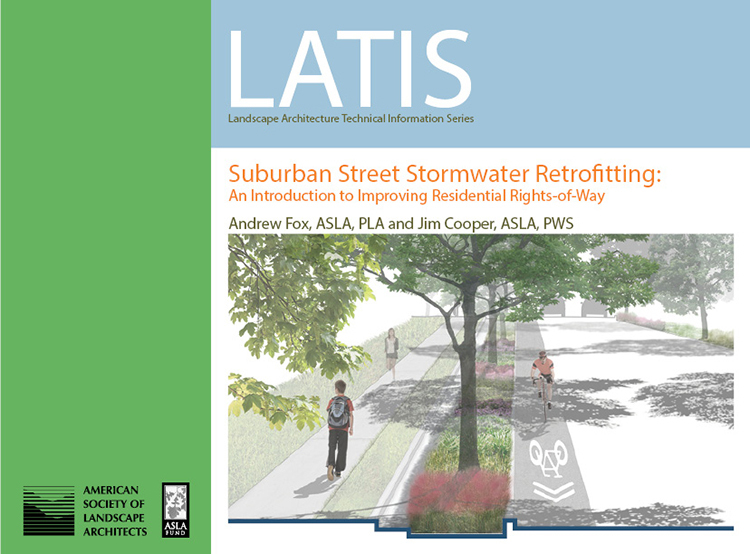 New to the LATIS lineup is Suburban Street Stormwater Retrofitting: An Introduction to Improving Residential Rights-of-Way, by Andrew Fox, ASLA, and Jim Cooper, ASLA. At first glance it seems an odd choice in research, as most design professions have become so city focused. But Shawn Balon, ASLA, the professional practice manager at ASLA, says it’s an important topic to cover for landscape architects. 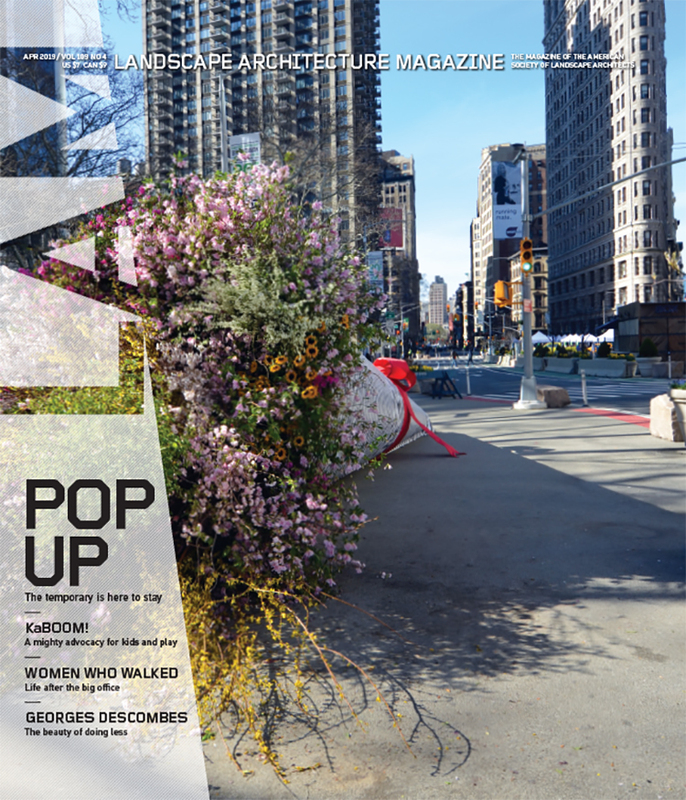 “We often discuss green street design and low impact development within the urban context, but it is also important to begin thinking of how suburban interventions can create more aesthetic and healthier places for residents,” says Balon. To work toward a greener future, we must start to retrofit the present. The paper takes a critical look at present suburban developments and their effects on hydrology, water quality, and community health, and explores existing retrofits, stormwater calculation estimations, design and construction details, cost estimation, and planting/maintenance options for suburban communities, Balon says. LATIS papers are available to read free of charge for members, while nonmembers will pay $50. Exams for PDH credit are $40 for members and $60 for nonmembers. Click here for more information.